The basic funda of introducing concepts to a child is not to dump some info in their brain, but, to be amazed at how they react and be surprised at how much willing they are learn new things. Personally, I show A many things, few, may be over her age, but, I firmly believe in the point - 'Never too early, never too late'. Children are always thirsty to explore, always ready to try new things. 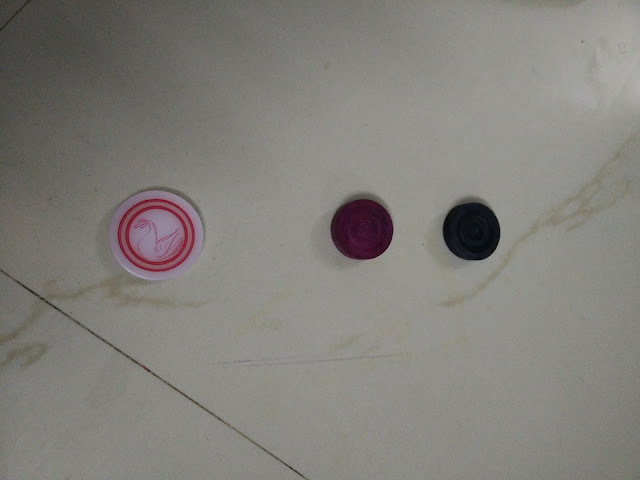 One evening, I arranged two carrom coins and a striker in a line and showed A how the striker would hit the first coin and, it, in turn, hits the second one. Always remember to keep your voice exciting for the child as you are explaining any concept. You should draw the child's attention towards that you are trying to show. A observed how the striker hit the first coin, screamed an 'Ahh', first coin hit the second one, screamed an 'Ahh', asked me to repeat. 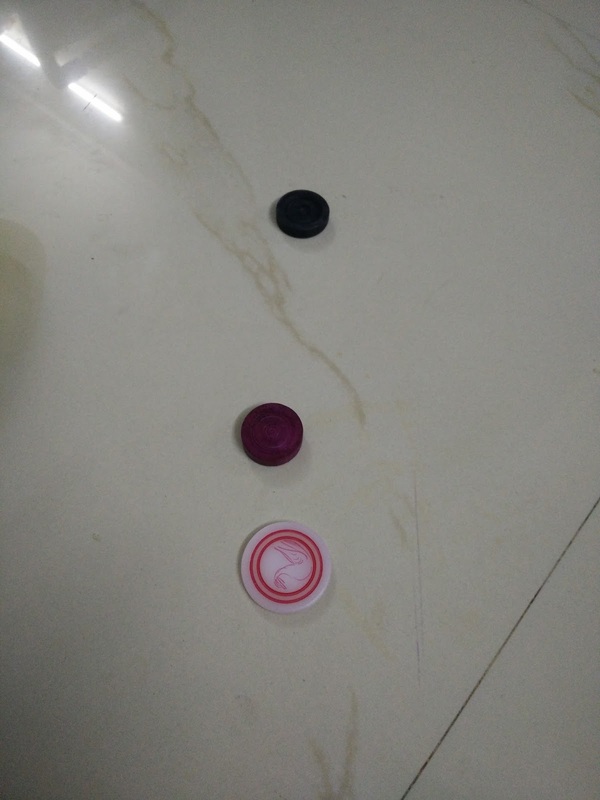 After a while, she tried hitting one carrom coin with the striker and exclaimed 'YAY'. And it repeats. I also spoke about how energy is transferred from striker to each of the coins and quite few things to which she paid serious attention. It is these tiny, amazing, beautiful reactions of hers that inspire me to look for something new in her play time.